Hey y'all! 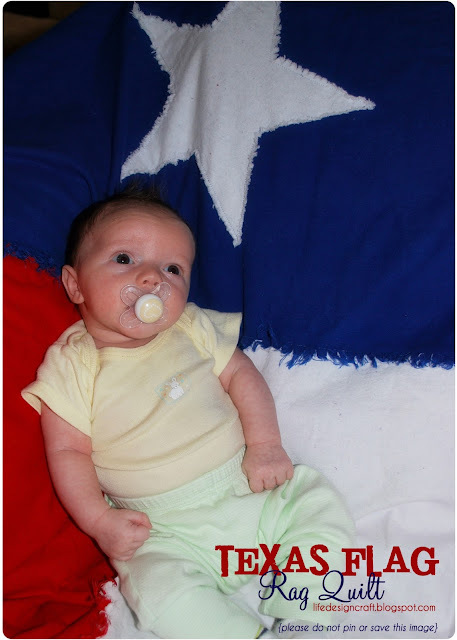 It didn't take long for Texas to take a hold of my heart... but it still amazes me how much Texas pride radiates from this Lone Star State! 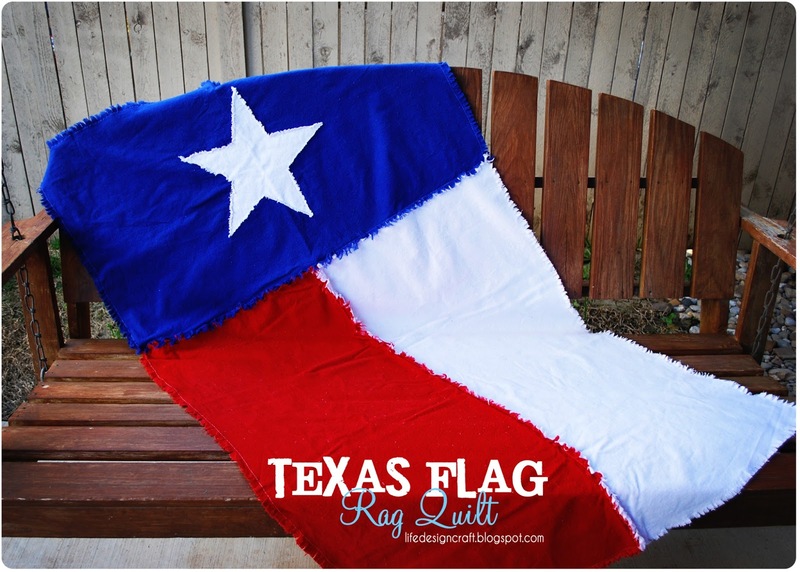 For example, did you know that in the Texas schools, students not only say the Pledge of Allegiance to the American flag, but also the Texas flag? Yup, true story. I've seen it myself in about a dozen schools. Aaaanyway, I had a new nephew born in March in west Texas...a perfect opportunity to make this lil' Texas Flag Rag Quilt to match a onesie that I bought for him. - I made it a standard crib size: 54" x 72"
- I recommend a 1/2" to 1" seam to allow for plenty of raggy-ness after being washed. - I used only one layer of flannel.. no doubling up or batting! If you haven't heard, it gets HOT in Texas. One layer of flannel is plenty! 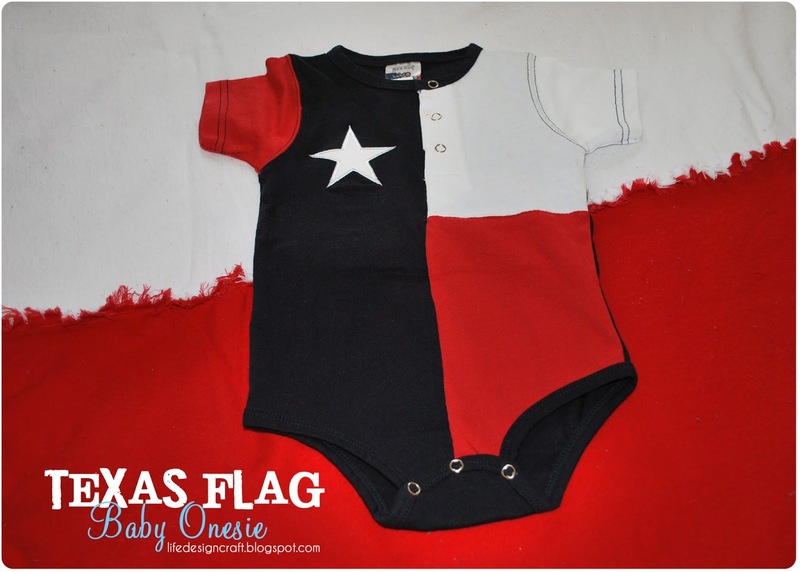 I love the Texas state flag onesie! Such a good idea! This blog is really informative i really had fun reading it.it is really beneficial. I'd personally appreciate to appreciate which on the purpose you have already been presented stated in developing the next few paragraphs. Did you free hand the star? It is so perfect. Do you have a template to download?